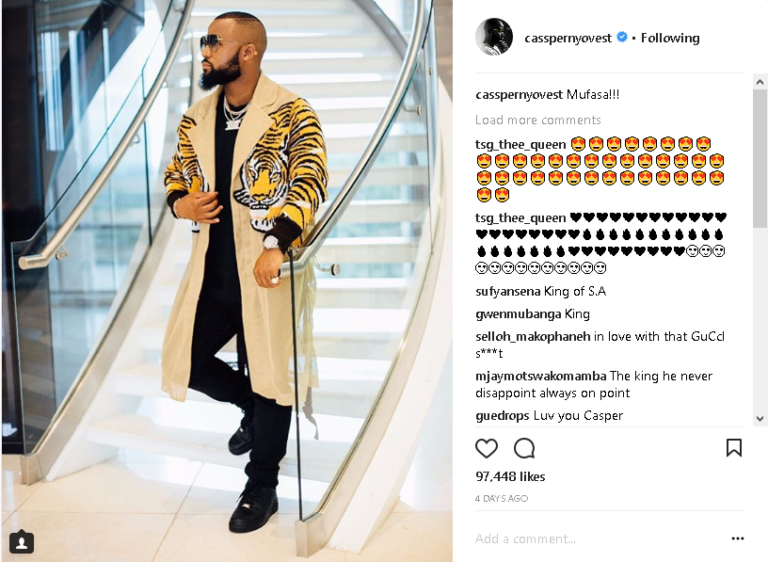 Home / Celebrity / Top 5 Most Liked Mzansi Celeb Photos On Instagram Ever! Top 5 Most Liked Mzansi Celeb Photos On Instagram Ever! Top 5 Most Liked SA Celeb Photos On Instagram Ever! Sports personalities especially in cricket and rugby dominate Instagram with following and likes here in Mzansi. But who rules Instagram in terms of likes in the SA showbiz industry? We’ve compiled the list of SA based, non sport celebs’ most liked photos ever on Instagram. 1. Cassper’s photo from Fill Up FNB with just over 112k likes. 2. 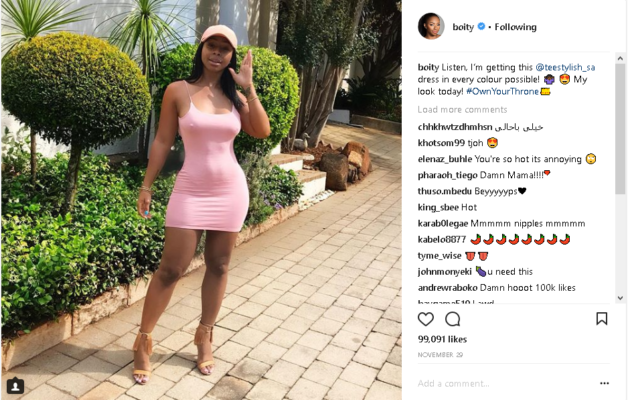 Boity’s photo rocking a little pink dress is the second most liked. 3. 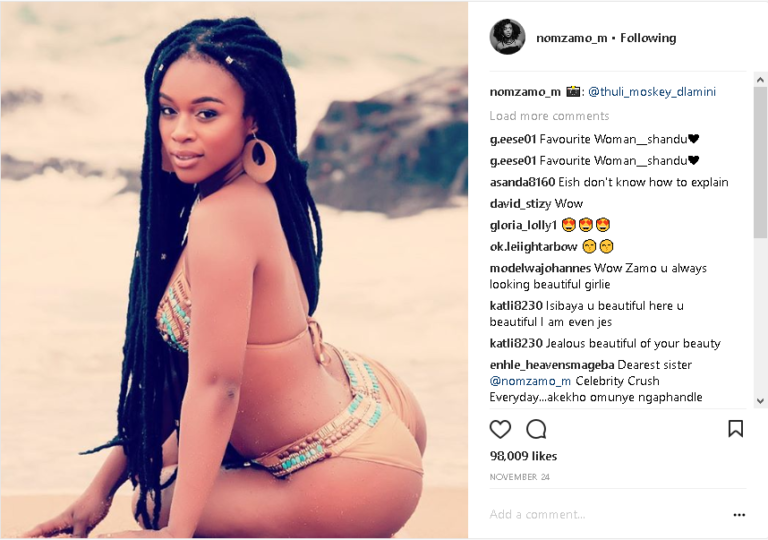 Nomzamo’s bikini photo that almost broke the internet is 3rd most liked. 4. Cassper comes back with a second photo which is the 4th most liked photo. 5. Minnie Dlamini’s lingerie photo rounds up the top 5 most liked SA celeb photos.